Many plants have been grown in space — including sunflowers in 2012, but the Veggie program at the International Space Station aims to learn about how to grow a complicated plant and overcome the hurdles on the way. In 2015, the space station crew grew romaine lettuce and snacked on it, but zinnias are a stride forward because they are more challenging to grow. The challenging process of growing the zinnias provided an exceptional opportunity for scientists back on Earth to better understand how plants grow in microgravity, and for astronauts to practice doing what they’ll be tasked with on a deep space mission: autonomous gardening. “Growing the zinnia plants will help advance our knowledge of how plants flower in the Veggie growth system, and will enable fruiting plants like tomatoes to be grown and eaten in space using Veggie as the in-orbit garden”. It is expected that astronauts will begin growing tomato plants on the space station in 2017. Food production provides nutrition and caring for plants may improve stress that astronauts experience during long missions. 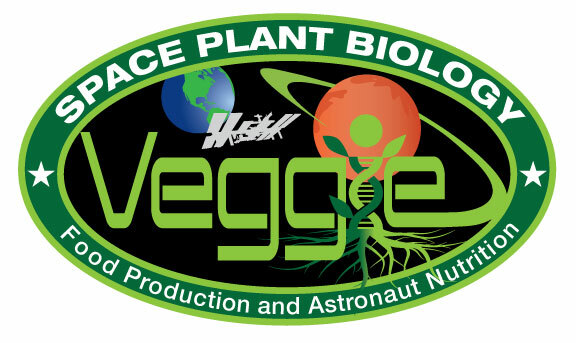 On November 16, 2015 – Astronauts at The International Space Station activated The Veggie chamber containing zinnia seeds. During the 60 days it takes to grow zinnias, the LED lights in the Veggie plant growth system were on for 10 hours and off for 14 hours in order to stimulate the plants to flower. On Christmas Eve, NASA named Scott Kelly an autonomous gardener (or “commander” of Veggie), so he could independently decide when the plants needed to be watered or tended to instead of waiting for directives from Earth. In an attempt to save the zinnias he cut away the affected, moldy plant tissue and sanitized the plant and Veggie chamber with cleaning wipes. High speed fans helped in an attempt to keep the chamber dry and to keep mold growth at bay. Two of the plants that displayed stress died off but two remaining plants continued to thrive with petals in January even beginning to sprout buds. January 17th, 2016 – The first zinnia blooms in space!